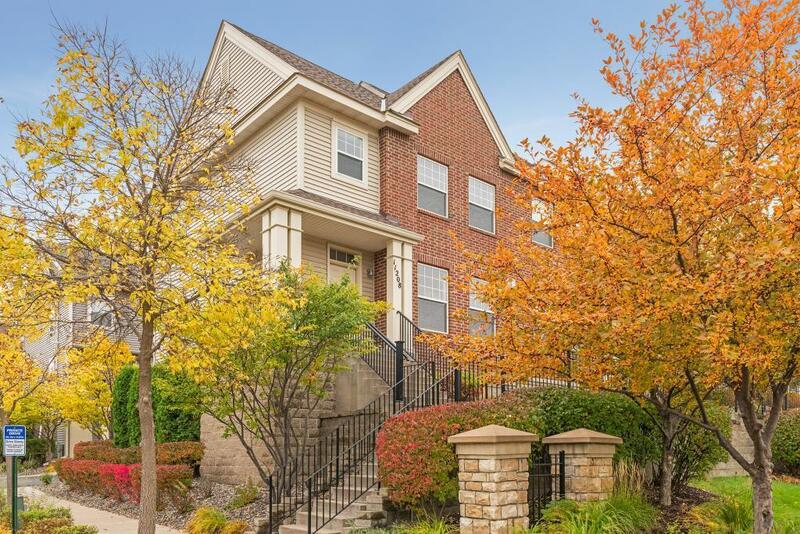 Sensational Row Townhome in Hartford Commons! This end unit is on the perimeter of the complex w/unobstructed distant views. Highlights include windows on 3 sides, 9' ceilings, NEW paint thruout (2018), LR w/gas fplc & surround sound, large center island kitchen w/informal DR & a 19x5 deck. The upper level has 2 BR's plus a loft, 2 full baths & laundry area. The master bath has a jetted tub & separate tile shower. The lower level offers a 3rd BR w/almost finished 4th bath (just needs fixtures).